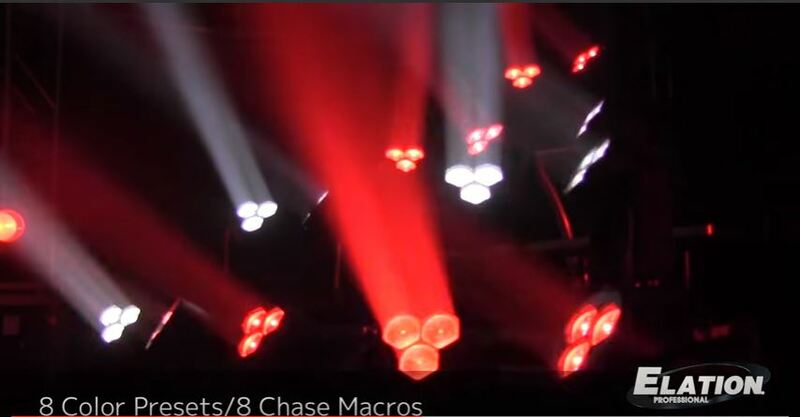 A Spotlight on the latest & greatest.. 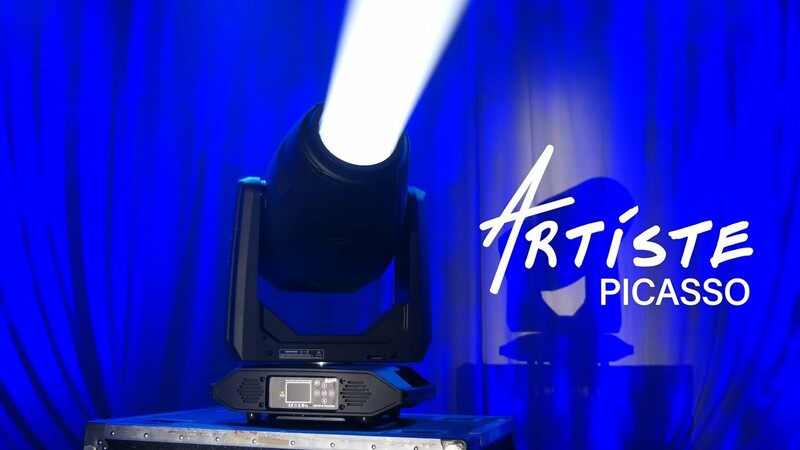 The Artiste Picasso™ is a full-featured innovative theatrical-grade luminaire featuring a new 620W 6,800K Cool White LED engine with advanced optics that deliver over 23,000 total lumen output, ultra wide and fast 7° to 55° zoom, a full CMY color mixing system producing a full spectrum of shades from pastels to rich saturated colors, linear CTO color correction, 6 dichroic colors including a high 87 CRI filter, 7 rotating/indexing glass and 7 static-stamped metal interchangeable gobos, 4 rotating full blackout framing blades with +/- 45° individual blade rotation, full 360° bi-directional animation wheel, 4-facet and linear rotating prisms and 2 frost filters, internal color, framing, prism, and frost macros, motorized iris with variable pulse effects as well as many other features. 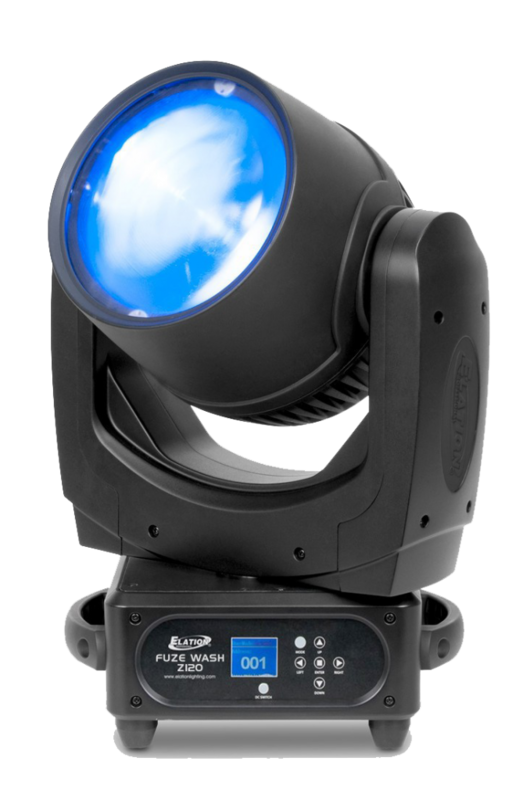 The new ChamSys QuickQ series of consoles is designed to put more powerful lighting control in the hands of students, theatre/house of worship volunteers, and programmers, regardless of experience level or budget. 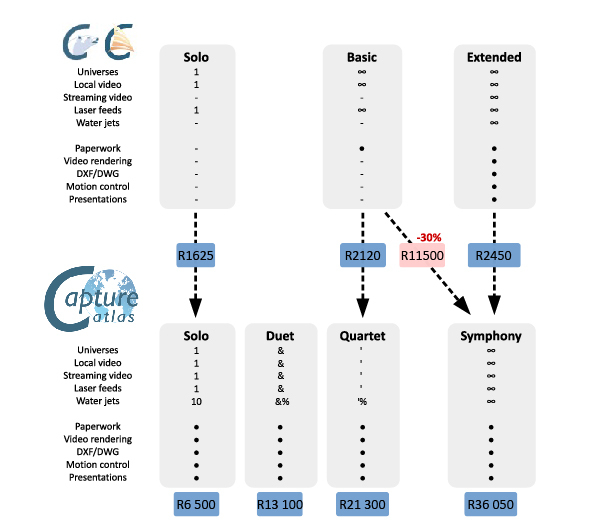 Now it’s more feasible than ever for programmers of all skill levels to take advantage of the benefits offered by the renowned ChamSys operating system. 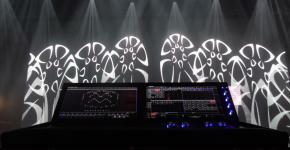 With the new ChamSys QuickQ consoles, users will get a taste of the power and flexibility that has made the company’s more advanced MagicQ lighting consoles the choice of many of the world’s most prominent designers and programmers. 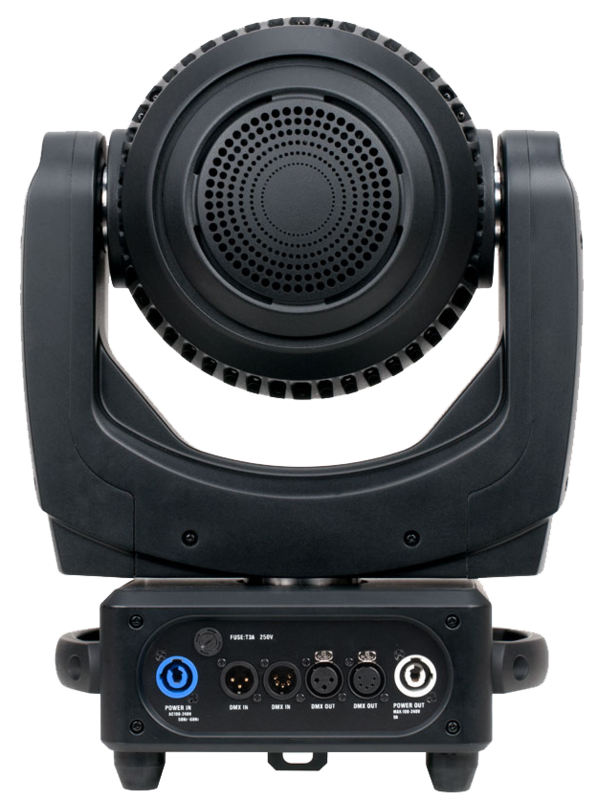 The new ChamSys QuickQ series of consoles is designed to put more powerful lighting control in the hands of students, theatre/house of worship volunteers, and programmers, regardless of experience level or budget. 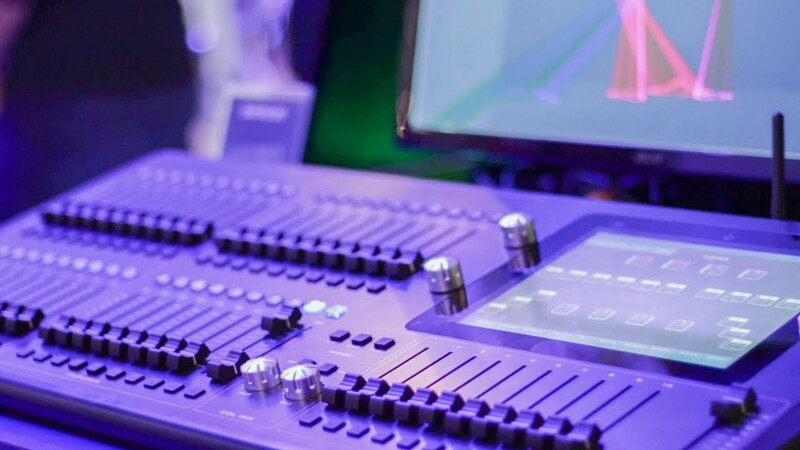 Even established professionals will find the quick and easy console to be a valuable tool for running smaller-scale shows. Available in three models, QuickQ consoles feature an intuitive smart-phone-like interface, and a conveniently large 9.7” touchscreen. Helpful prompts and videos accelerate the learning process, making it easy even for inexperienced users to set up, program and operate the console. 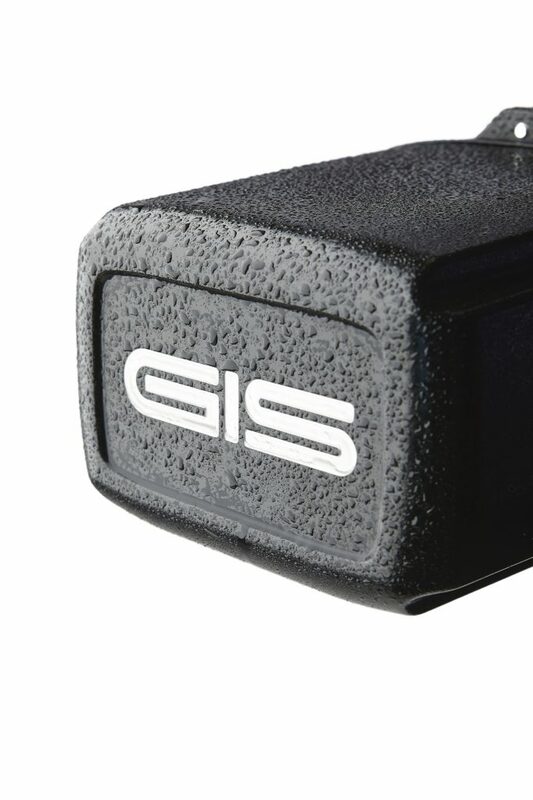 Among the console’s user-friendly features are easy-to-understand buttons and faders, simple color selection menu, readily accessible intensity control tools, and fingertip controlled zooming and scrolling. The versatile QuickQ consoles keep users connected, with built in Wi-Fi capabilities that allow it to be controlled from a tablet or phone, both of which can also serve as a second external monitor. Plus, the console comes with free downloadable offline QuickQ programming software for Mac and Windows, including a fully rendered MagicVis visualiser. QuickQ users can also program their designs on a computer, save them on a flash drive and load them onto the console. Show files can be saved on the console and replayed via the consoles’ simple cue/chase system for playback. 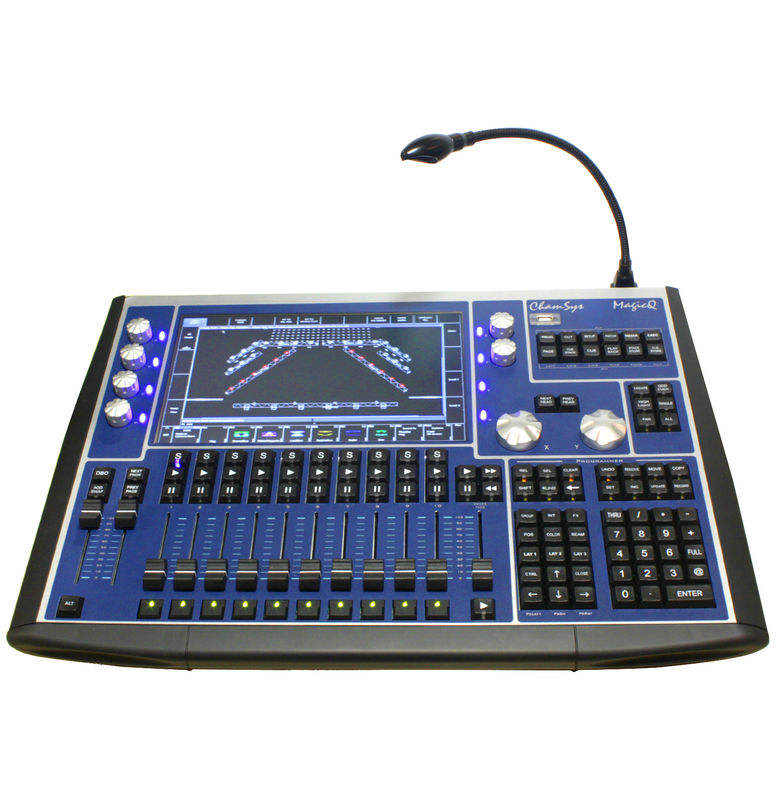 All QuickQ console models use ChamSys’ extensive and continuously updated personality library with over 22,000 fixtures. 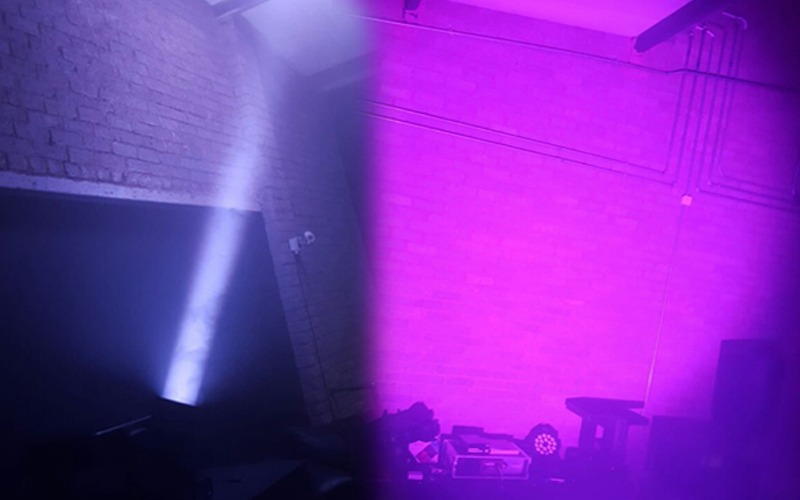 The consoles support RDM, allowing them to detect, patch and configure RDM compliant fixtures such as the CHAUVET Professional Ovation, COLORado and COLORdash, without the need to address and set the mode manually for every fixture. 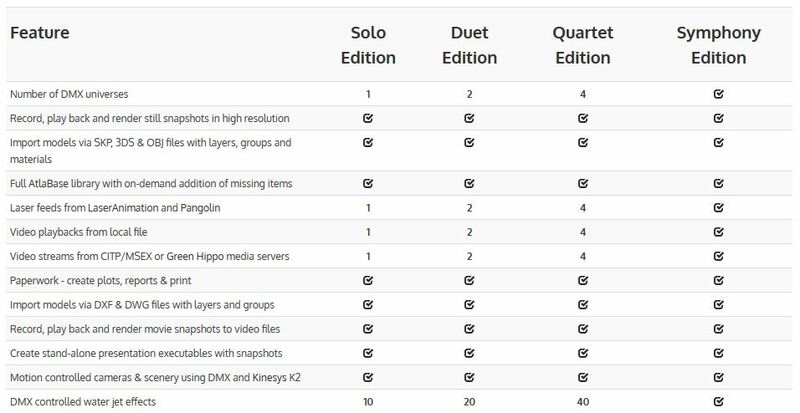 QuickQ consoles use the new QuickQ software, and their show files are compatible with the more advanced MagicQ show files, which enables users to progress freely throughout the ChamSys range. 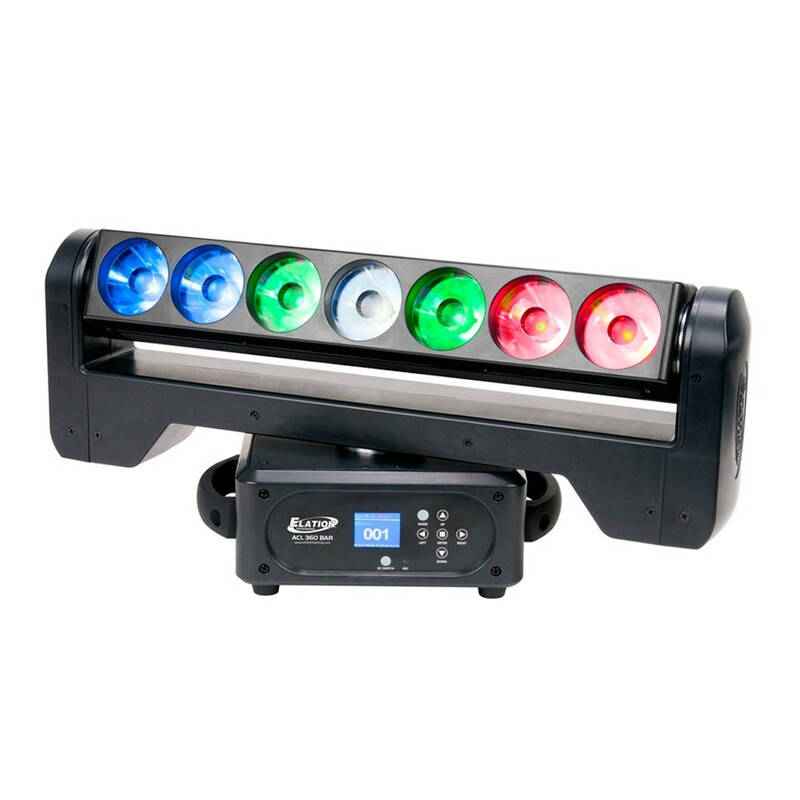 QuickQ 10 – Supports 1 universe, features dedicated hue and saturation control encoders for controlling LED and traditional conventional fixtures and 20 fixture faders. 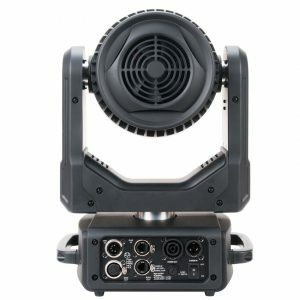 QuickQ 20 – Having all of the features of the QuickQ 10, the QuickQ 20 supports 2 universes and includes 4 Attribute Encoders for controlling moving lights. 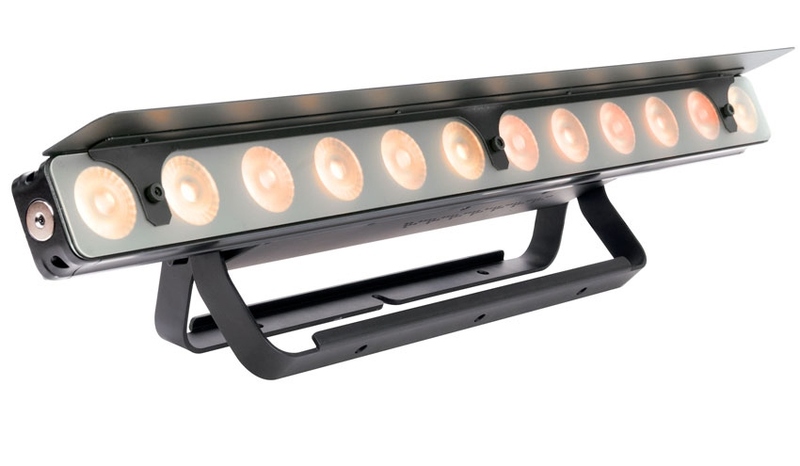 QuickQ 30 – With all of the features of the QuickQ 20, the QuickQ 30 has 40 fixture faders and supports 4 universes. 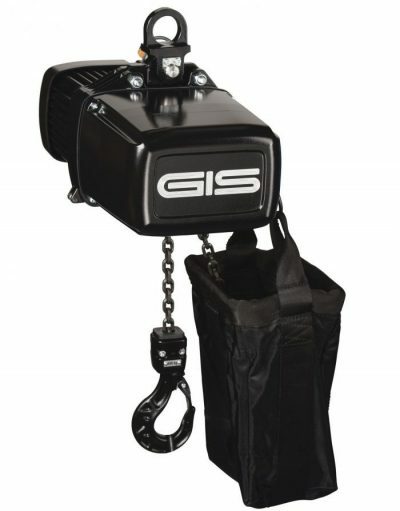 The brand-new electric chain hoist LP500 of the Swiss manufacturer GIS calls attention by its performance data. 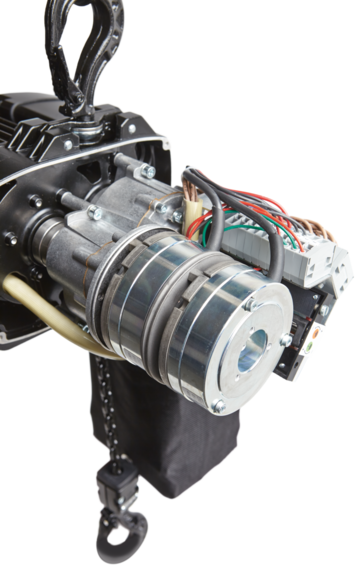 It convinces through a modular assembly and with 60% higher lifting capacity than the D8-motor. 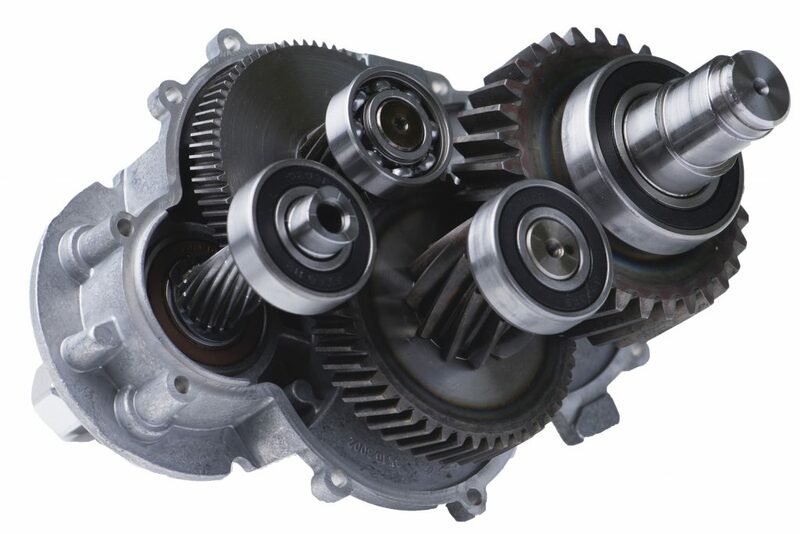 The two-stage transmission with helical gearing ensures very quiet running at max. 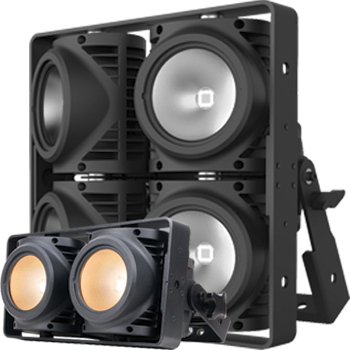 65dB. 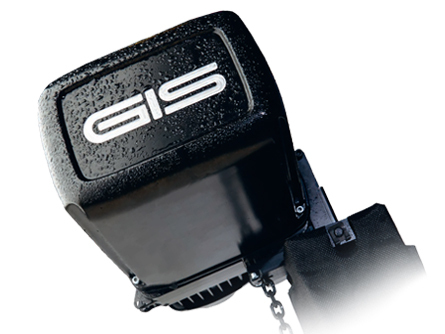 Due to protection class IP65 as standard, it is predestined for mobile outdoor use. 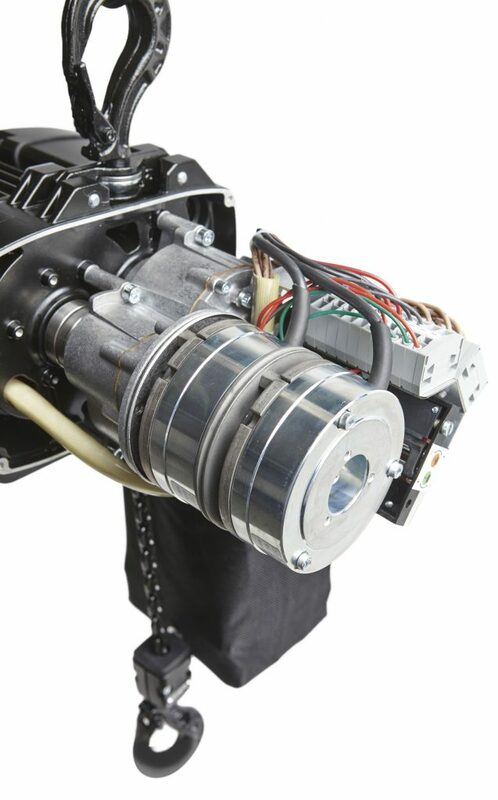 The second brake for the D8-Plus-Motor can be assembled on the shaft without housing extension. 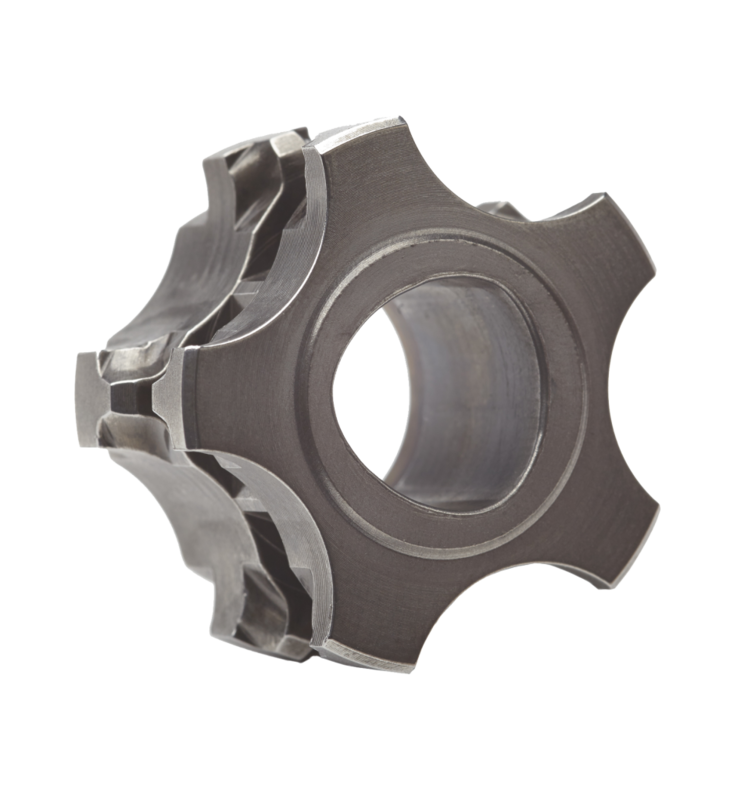 Due to shaft-hub-connections in polygonal-design, maintenance is carried out quickly, easily and without special tools. 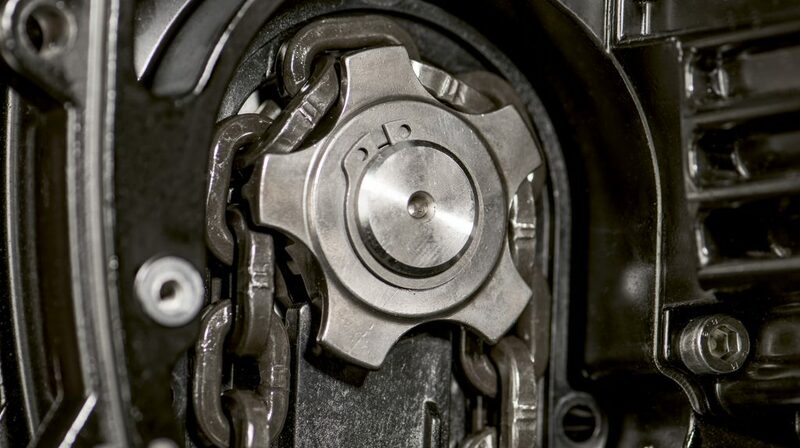 The warranty for new purchases is now 3 years. 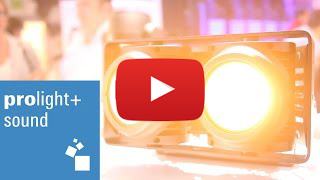 Introducing the Elation ‘Dim-to-Warm’ IP Rated Blinders. 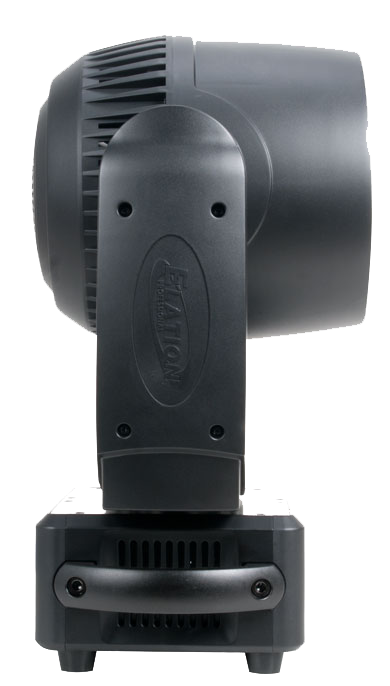 The Elation DTW 350IP & 700IP Blinders have accurate renditions of traditional tungsten halogen lamps with extremely smooth dimming, IP rated body and manual adjustable pan focus. 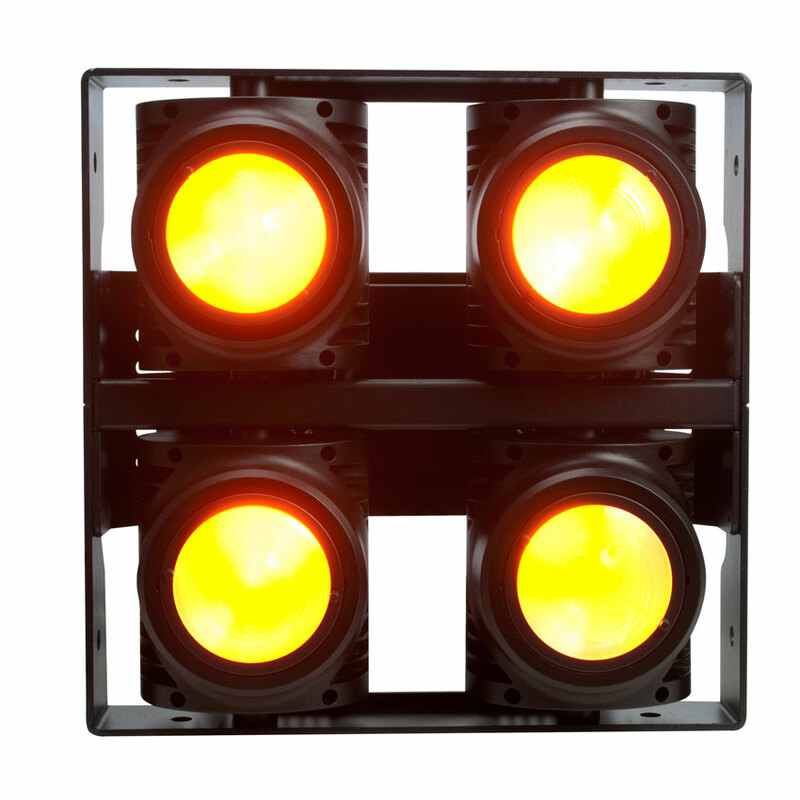 The IP65 rated DTW Blinder 700 IP™ features (4) high powered 175W 2-in-1 Warm White/Amber COB LEDs while the DTW Blinder 350 IP™ features (2) high powered 175W 2-in-1 Warm White / Amber COB LEDs. 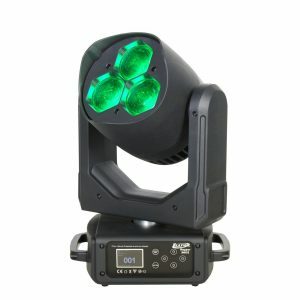 They also feature a wide 78° beam angle, full color temperature range control plus independent Dim-to-Warm channel control (1,800K – 3,200K), easily attachable 25° narrow beam filters (included), pixel control, manual adjustable pan focus, variable dimming curve modes, strobe effects, flicker free operation for TV and Film, RDM (Remote Device Management), IP rated DMX and power in/out connections, LCD menu display with 4 touch button control panel, integrated yoke and side mounting brackets, and a multi-voltage universal auto switching power supply (100-250v). 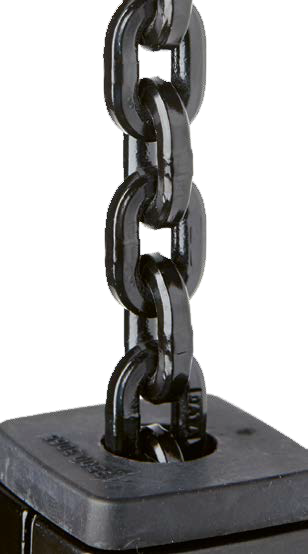 The DTW Series also features other products including the DTW PAR 300™ as well as the DTW BAR 1000™. 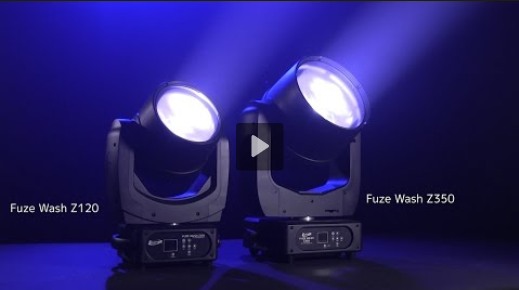 Elation Professional announces launch of the new Fuze Series™ of dynamic LED wash luminaires. 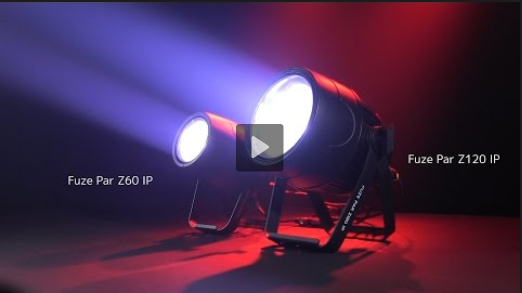 Using single-lens RGBW COB LEDs for an extremely homogenized field of light and offering a wide palette of colors, Fuze Series lights are ideal lighting solutions anywhere a wash of high-quality colored light is required. 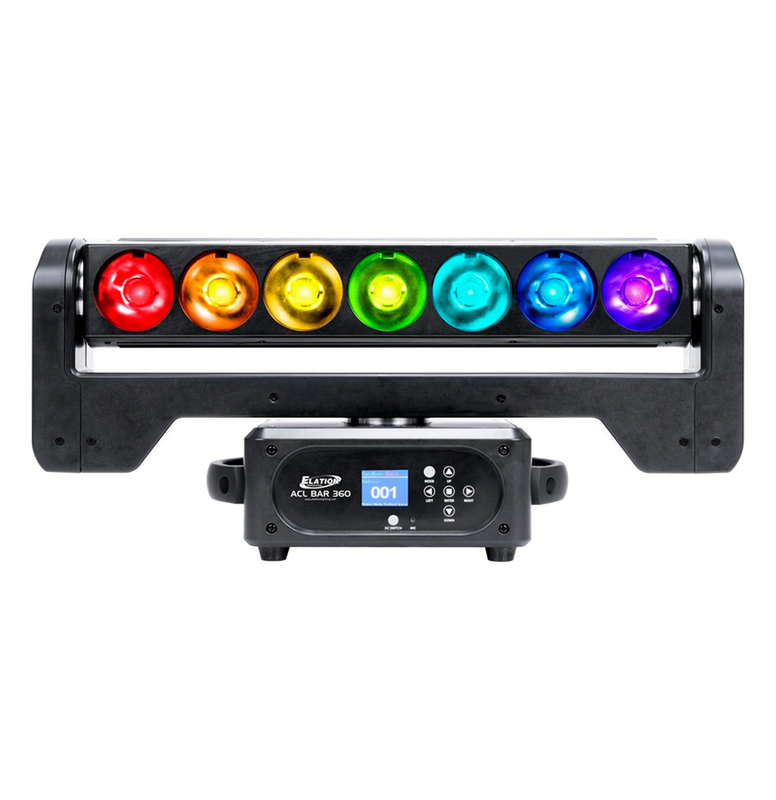 Available in moving head and IP65-rated PAR versions, single source RGBW color mixing gives fully premixed color looks and an extremely flat field of light. 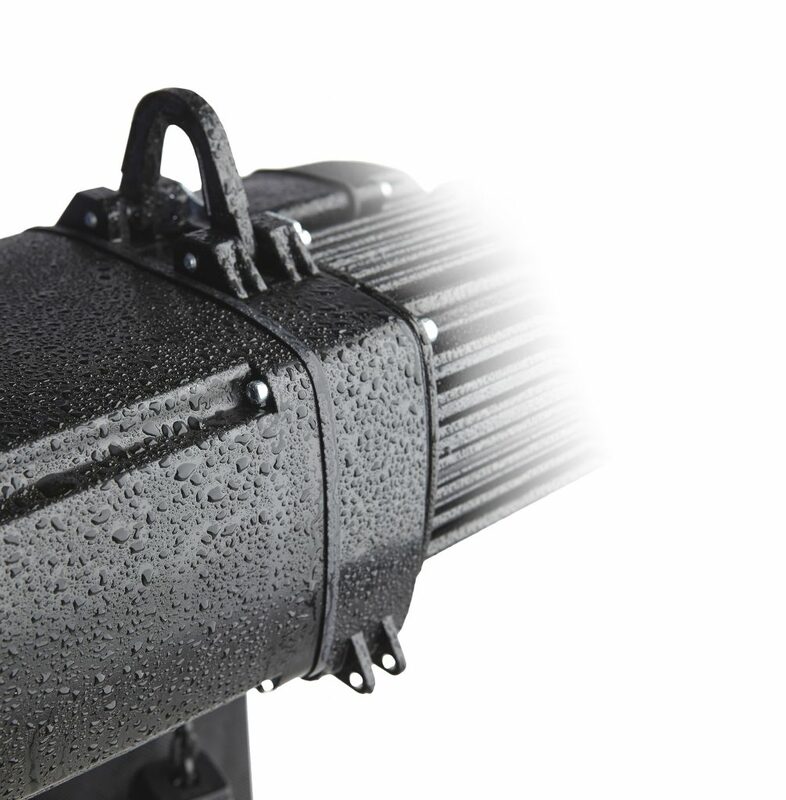 With a lens face that appears as one color instead of individual LED diodes, lighting designers will value Fuze Series fixtures for their non-pixel look as well as their ability to wash a surface or subject without the multi-shadows created from traditional LED wash fixtures. 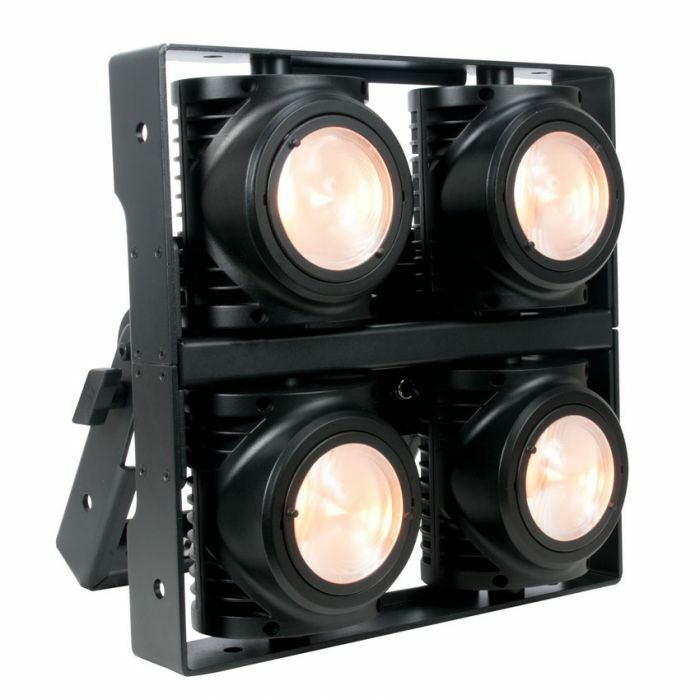 All Fuze Series fixtures offer useful design features including a wide zoom angle range for more precise beam control, full 100% electronic dimming, variable dimming curves and high-speed strobe. 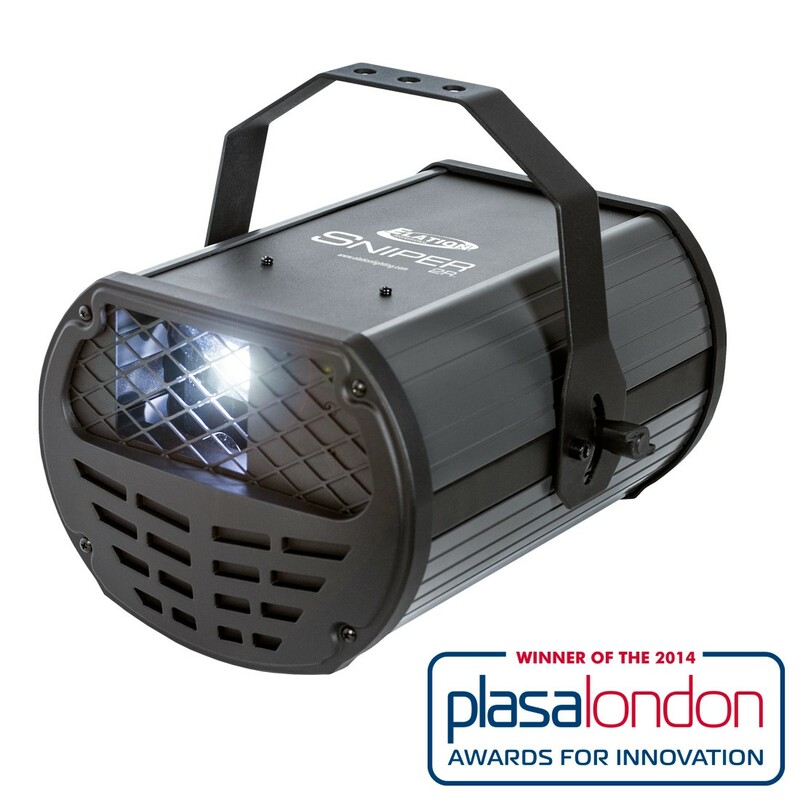 The Fuze PAR’s feature an optional gel frame / barn door / snoot holder as well. 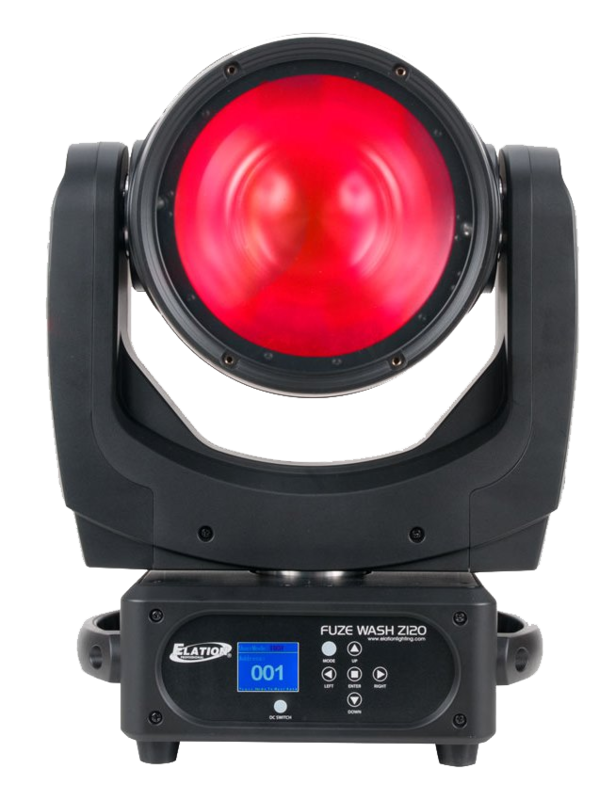 The Fuze Wash Z120™ is a single source PAR moving head luminaire featuring a 120W quad color RGBW COB LED, 7° to 55° motorized zoom and moving head yoke for easy and flexible positioning. 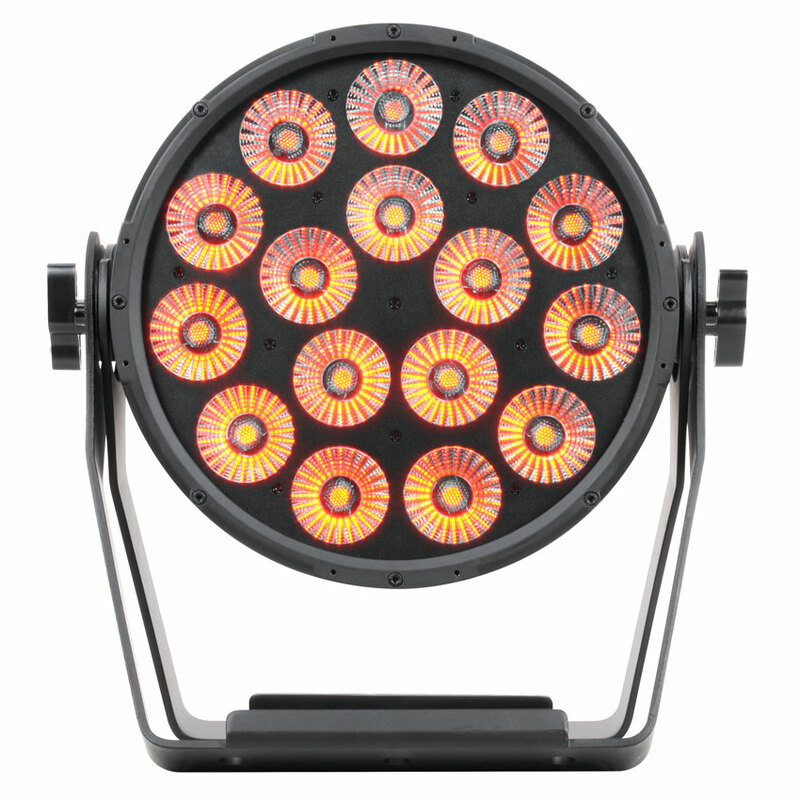 The Fuze Wash Z350™ is a single source PAR moving head luminaire featuring a 350W quad color RGBW COB LED, 10° to 55° motorized zoom and moving head yoke for easy and flexible positioning. 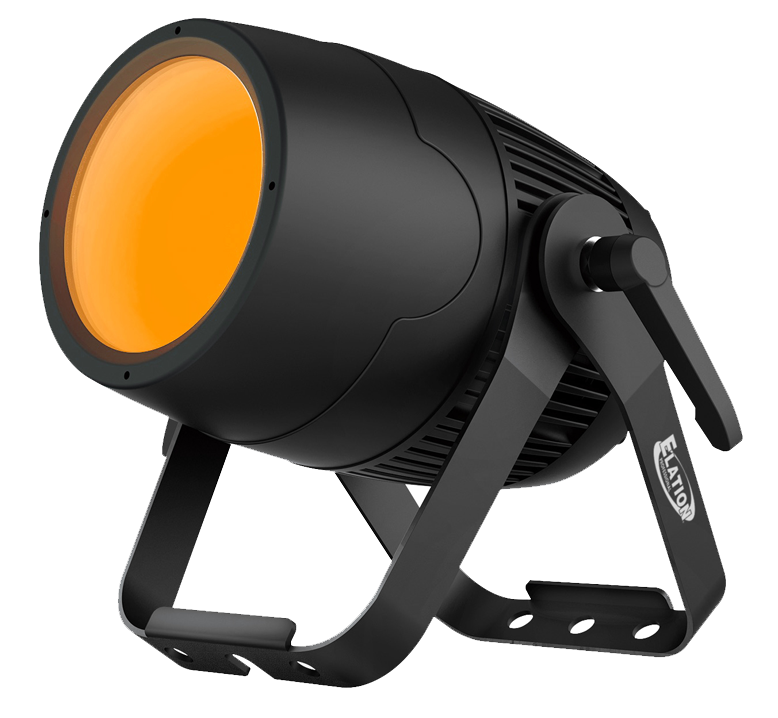 The IP65-rated Fuze PAR Z60 IP is a single source PAR luminaire featuring a 60W quad color RGBW COB LED and 7° to 39° motorized zoom. 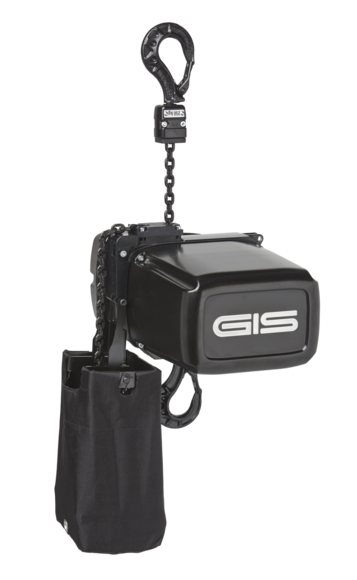 The fixture operates silently for use in noise sensitive environments and dual adjustable yokes allow for precise positioning when mounting on the floor. 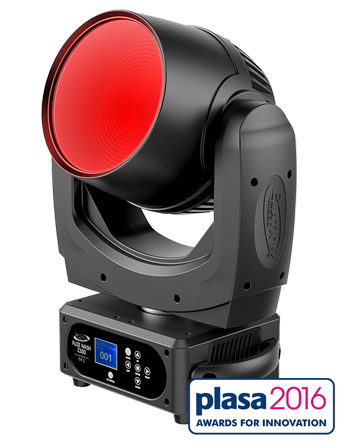 The IP65-rated Fuze PAR Z120 IP™ is a single source PAR luminaire featuring a 120W quad color RGBW COB LED and 7° to 55° motorized zoom. 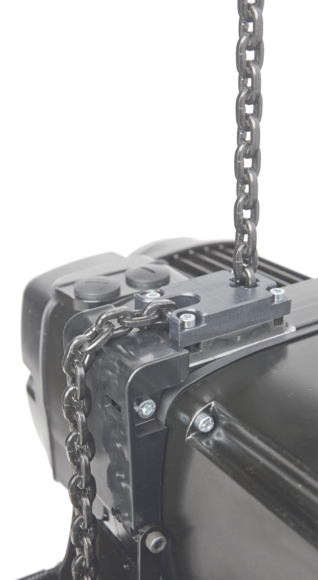 The fixture operates silently for use in noise sensitive environments and dual adjustable yokes allow for precise positioning when mounting on the floor. 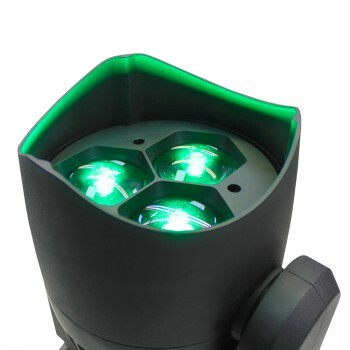 All fixtures in the Fuze Series are DMX controllable and RDM ready. 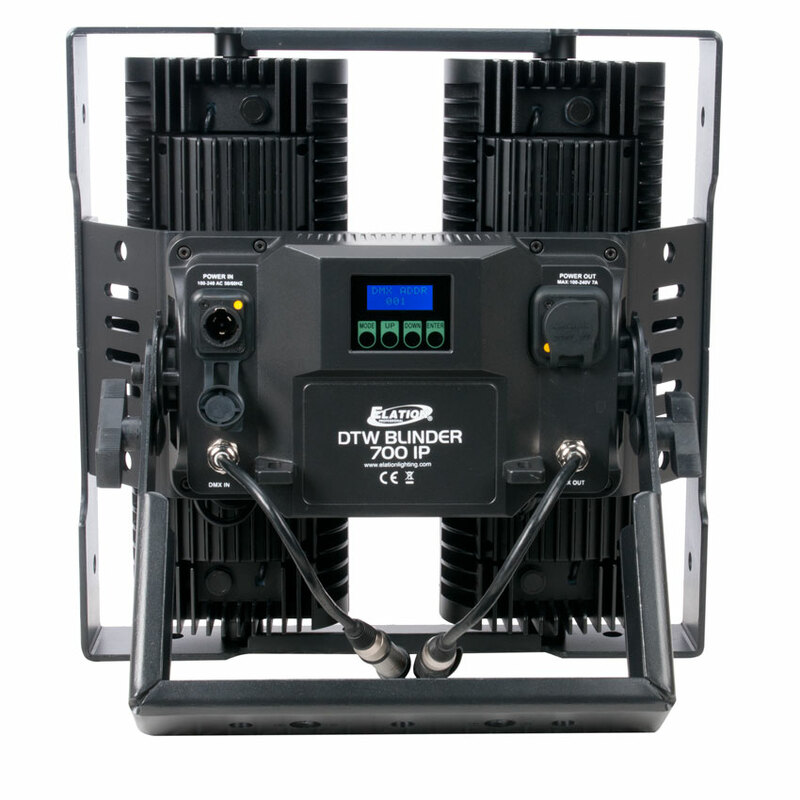 They include 3- and 5-pin DMX in/out and Powercon in/out connections and users can easily power and data link multiple fixtures together for quick installation and customizable setups. 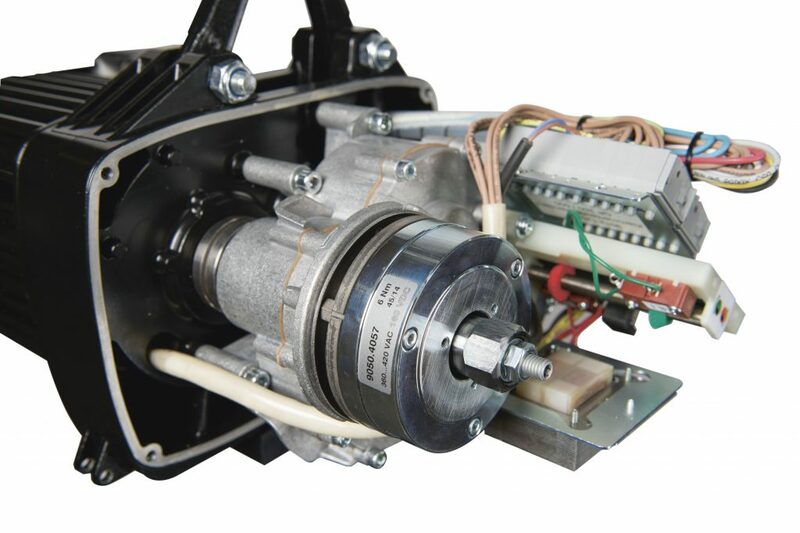 The Fuze Par Z60 IP and Fuze Par Z120 IP include a 4-button touch control panel and LCD menu display for easy hands-on addressing with easy-to-read fixture menus and messages. 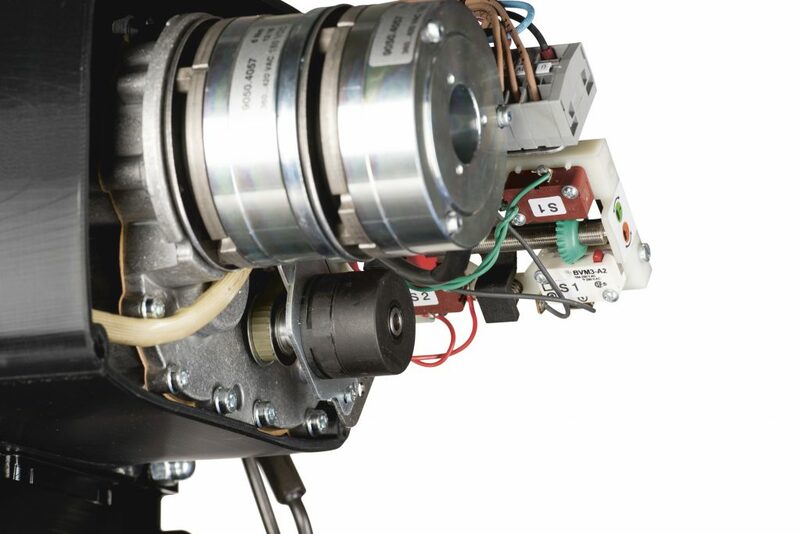 The Fuze Wash Z120 and Fuze Wash Z350 include a 7-button control panel. 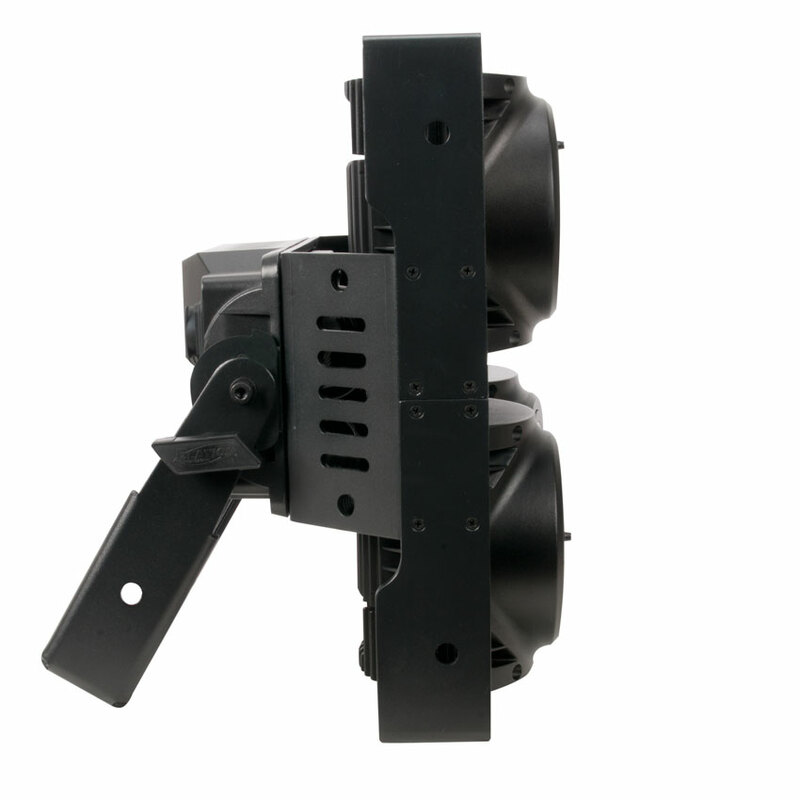 All Fuze Series fixtures operate flicker free for use in TV and other broadcast applications and an auto-sensing power supply covers worldwide voltages and frequencies. 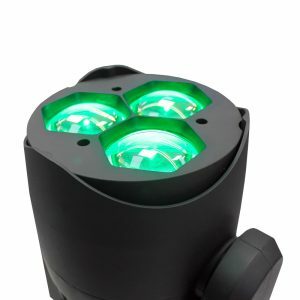 The Fuze Series offers all the benefits of LED like greater reliability and less maintenance and consumes little power for a lower cost of ownership. With a long LED life rating, service intervals are few and far between. 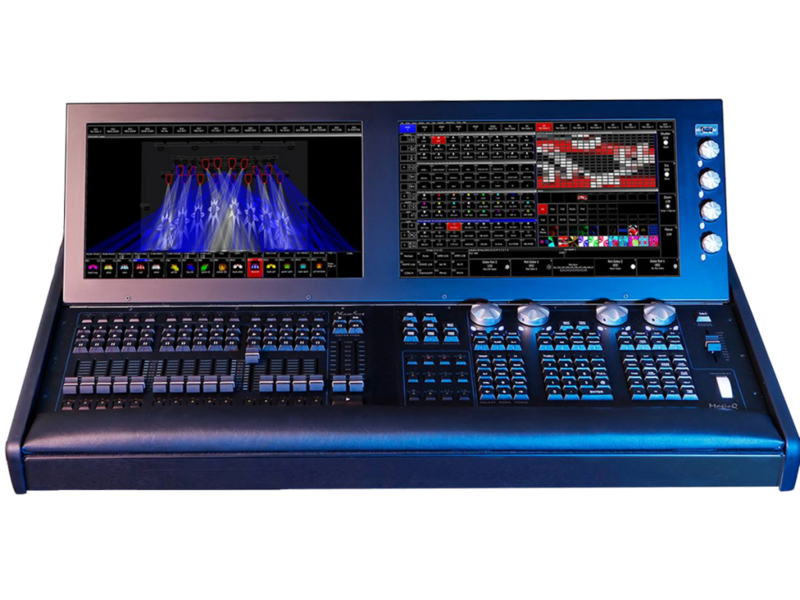 ChamSys is pleased to announce the MagicQ MQ500 Stadium console, their latest console with control for up to 200 universes direct from the console. 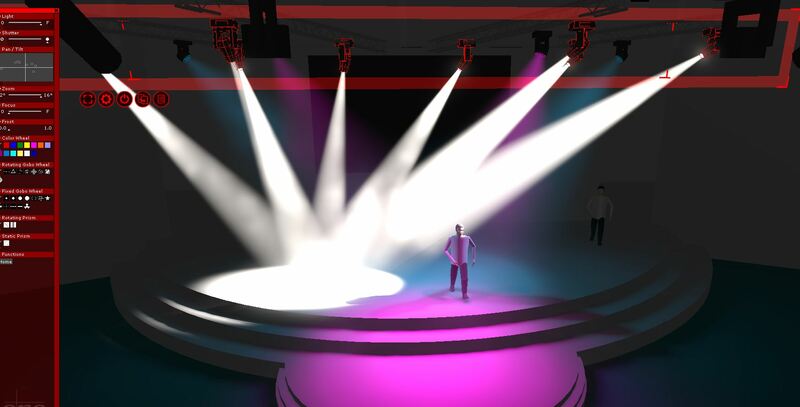 The MagicQ MQ500 Stadium enables shows to be designed from concept to reality including lighting, media, LED and scenic design. 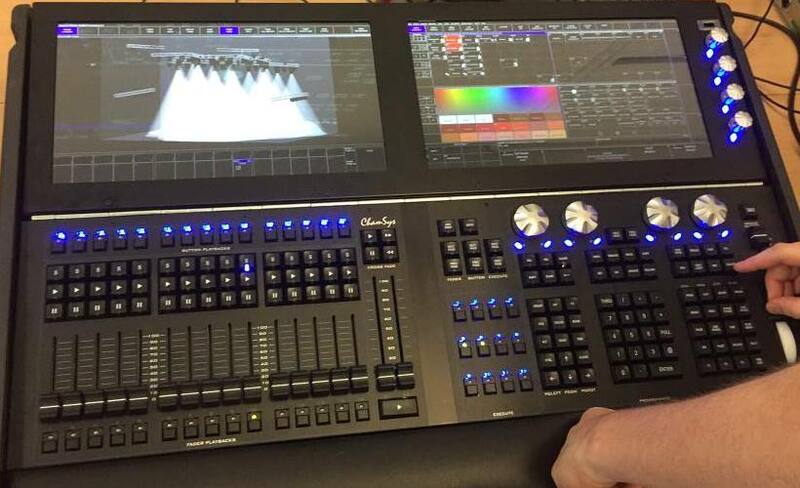 The MQ500 Stadium is a new control console from ChamSys designed to operate at the highest level of show control. 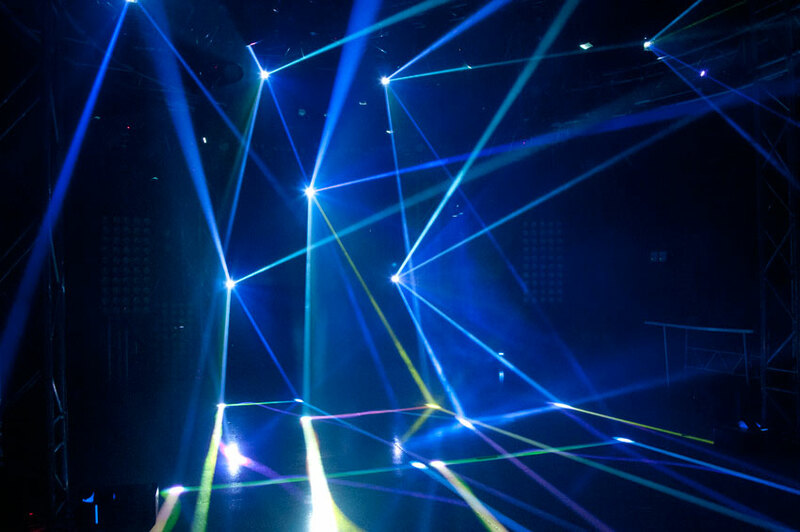 It enables shows to be designed from concept to reality including lighting, media, LED and scenic design. 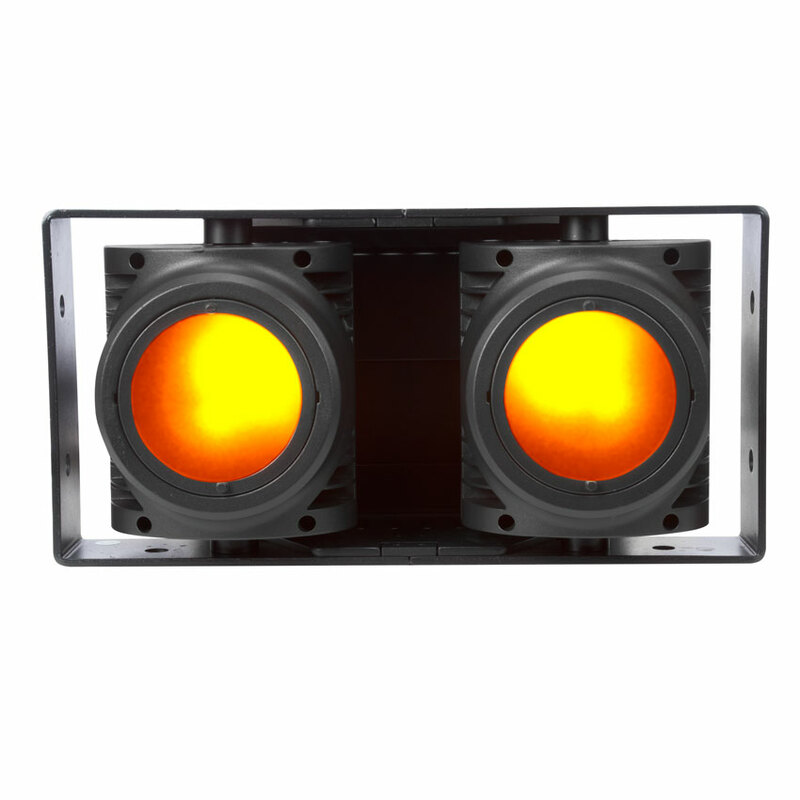 The MQ500 Stadium features dual multi touch displays in full HD with adjustable viewing angle and gesture support, has inbuilt MagicVis 3D visualiser with high quality beam and gobo rendering. 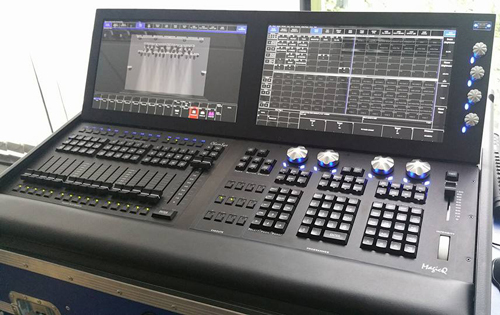 The console supports up to 200 universes onboard direct from the console without the need for external processing. MagicHD media server runs on board enabling pixelmapping to all 200 universes. It also includes an intensity wheel and 100mm split crossfaders for theatre control, and incorporates 42 fader and executor playbacks for live busking. 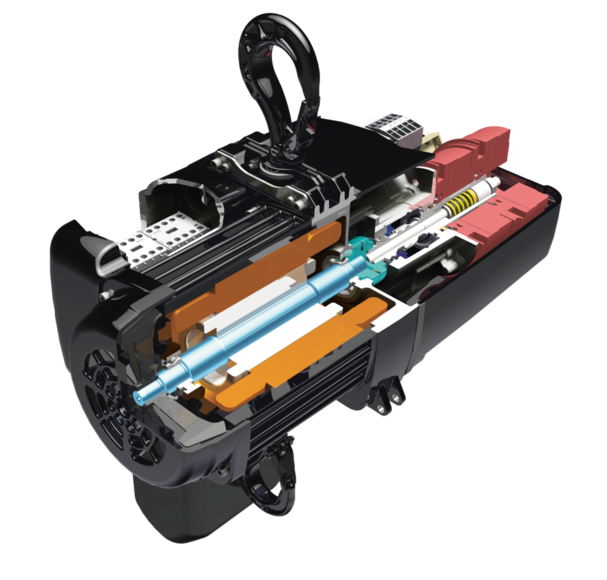 Have a look inside the award winning Elation Platinum FLX as it adapts its optics between beam, spot & wash mode. 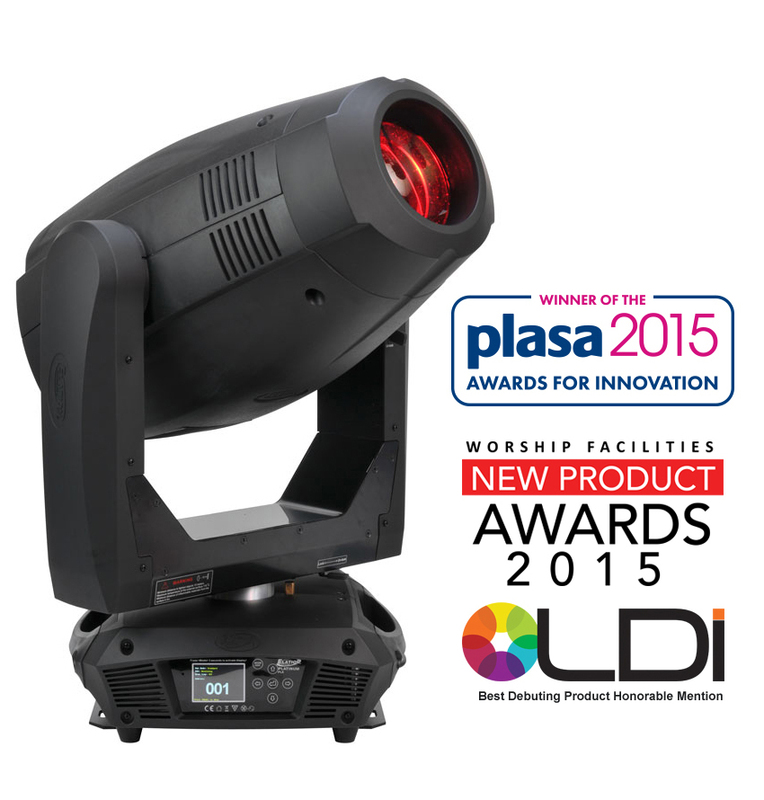 The new award winning Platinum FLX™ is an innovative full featured patent pending design 3-in-1 luminaire which can be utilized as a beam, spot, or wash fixture delivering comparable output to 1,200W fixtures. 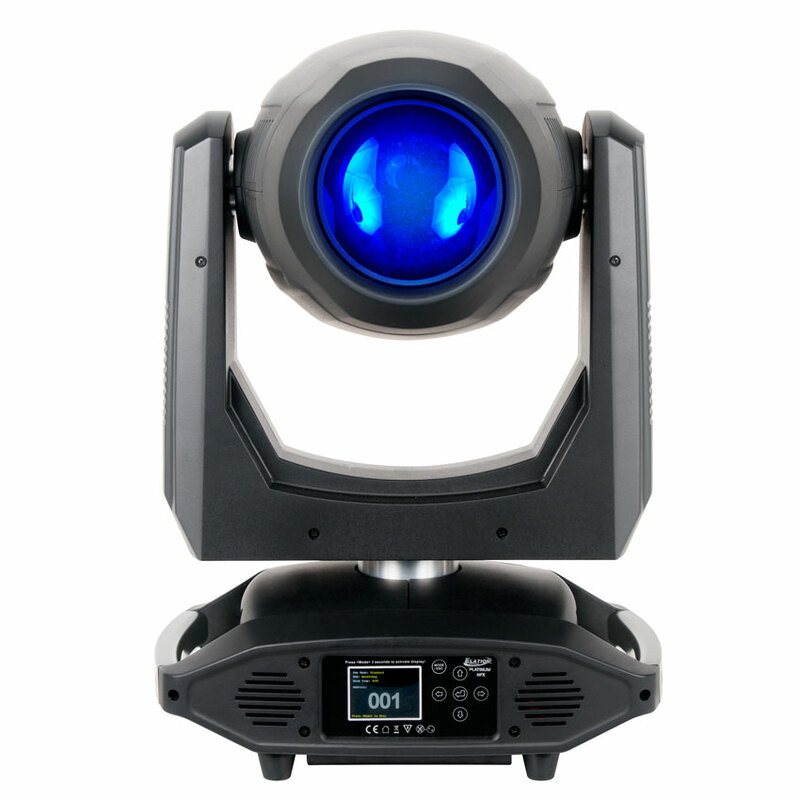 It features 1.8° to 18° zoom in beam mode and 2.9° to 25° zoom in spot mode, 6° – 42° zoomable wash / frost effect, full CMY color mixing plus linear CTO color correction. 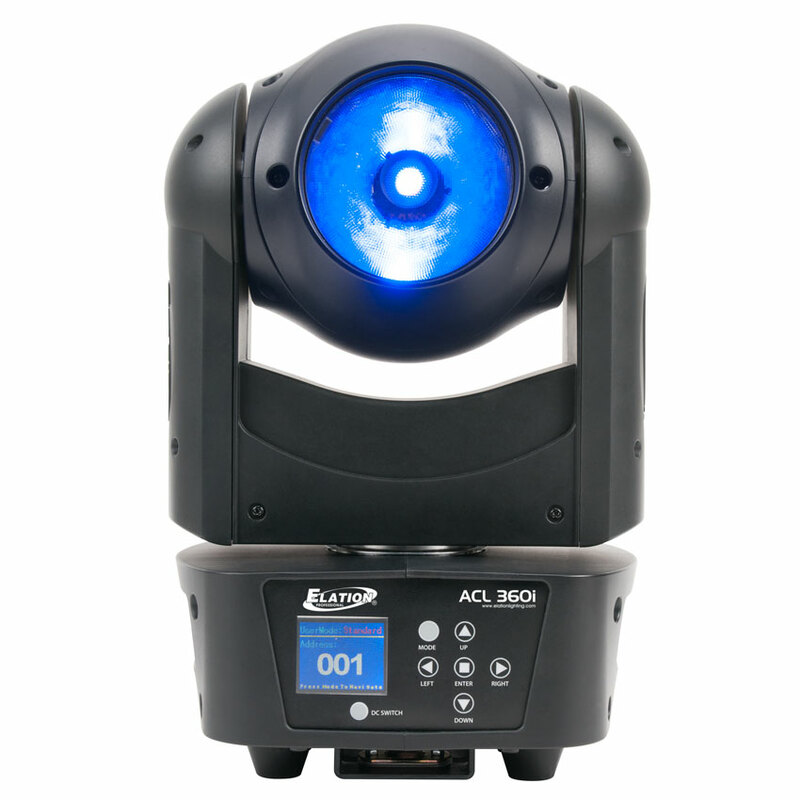 Elation launches the affordable ACL360 Series fixtures with full 360° continuous pan and tilt rotation. 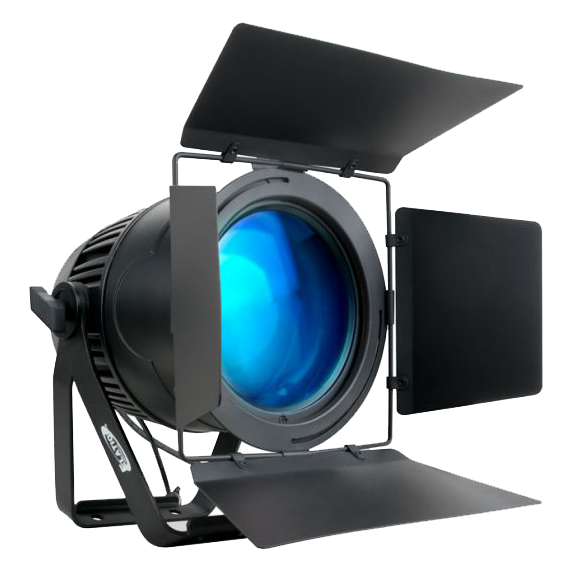 All of these advanced collimator optic lens fixtures include fast and precise16-bit full 360° continuous pan and tilt rotation, full individual pixel control, strobe, and selectable dimming curve effects, DMX, RDM (Remote Device Management), KlingNET™ and Art-NET support. 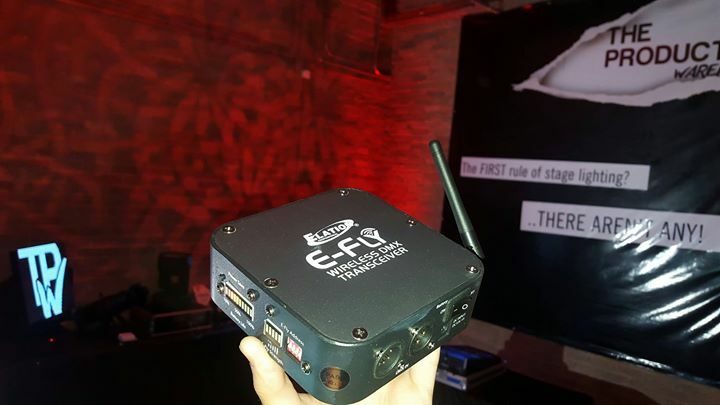 The E-FLY™ Transceiver is a high-powered wireless DMX Transceiver (Transmitter/Receiver in one) that is compatible with other E-FLY™ and products and includes a rechargeable battery, which provides a solution for remote applications where access to power is a challenge. 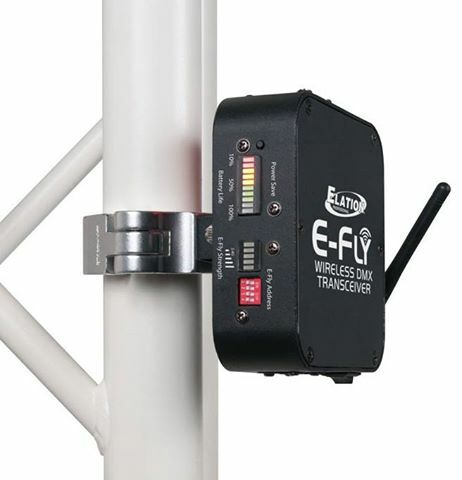 Connected to a DMX Controller, the E-FLY™ Transceiver will provide a constant and reliable wireless DMX signal up to 2,500 feet (762m) to other Elation E-FLY™ products. 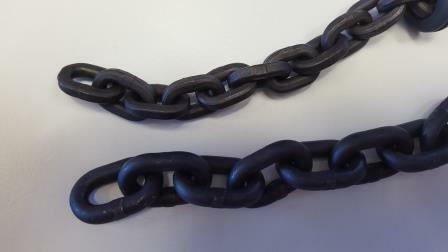 The 2.4 GHz wireless frequency will coexist in busy RF environments alongside technologies like Bluetooth and Wi-Fi. The MQ80 has a large central touch screen, full size faders and blazing fast graphics for a great response when working with media. 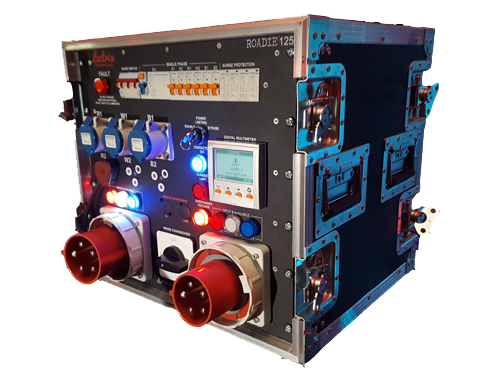 12,288 DMX channels in a compact package, proven to run at full speed with all channels fully patched via ArtNet, sACN, PathPort Net and ShowNet. 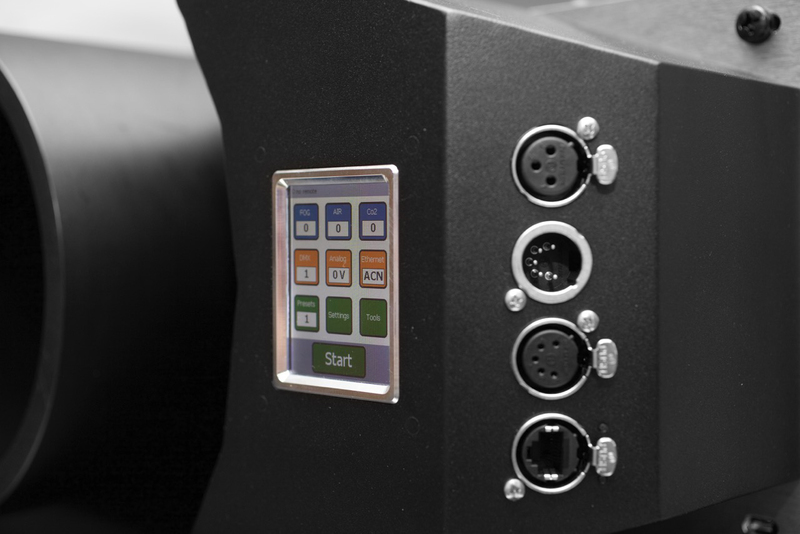 In addition there are 4 fully patchable direct DMX outputs on the rear panel, MIDI, SMPTE, a 4 port network switch and a built in uninterruptible power supply. 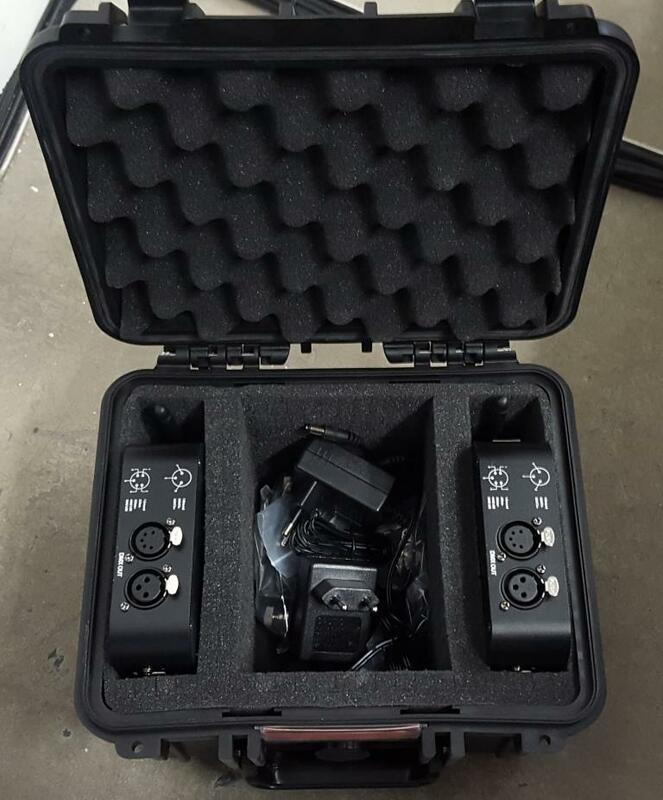 MagicQ Compact consoles are designed to travel. 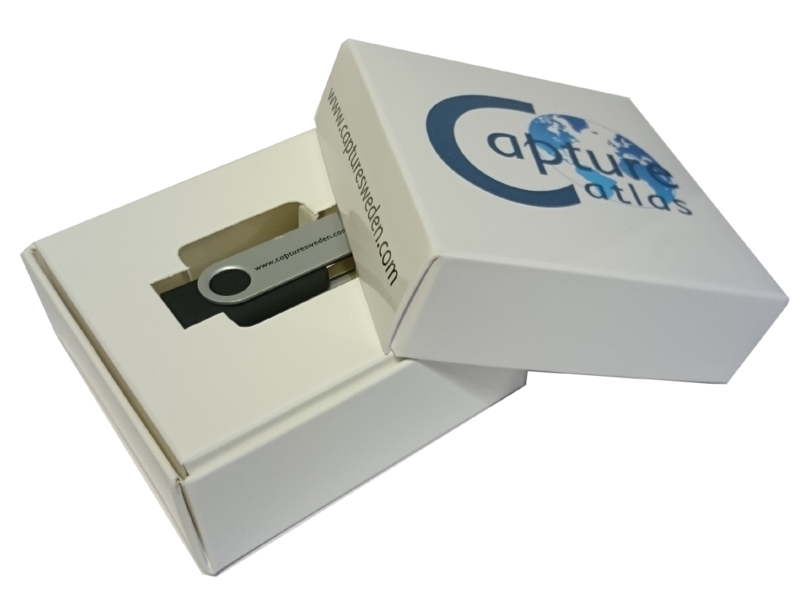 The current line, in their soft cases, are all “carry-on” compliant for any airline in the world. 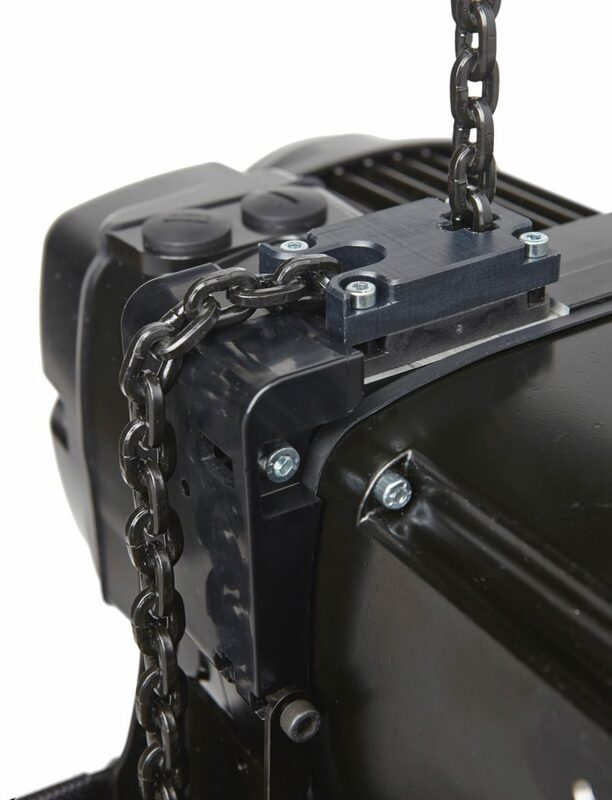 The slightly larger MQ80 will fit in standard checked luggage in a flight case. 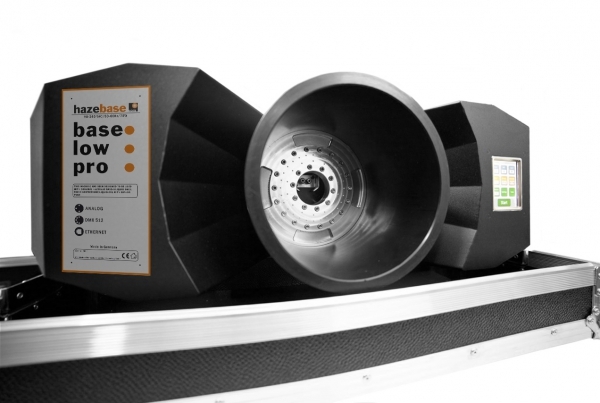 This produces a Dense Low Fog when used in conjunction with the hazebase base*classic or base*high*power foggers. 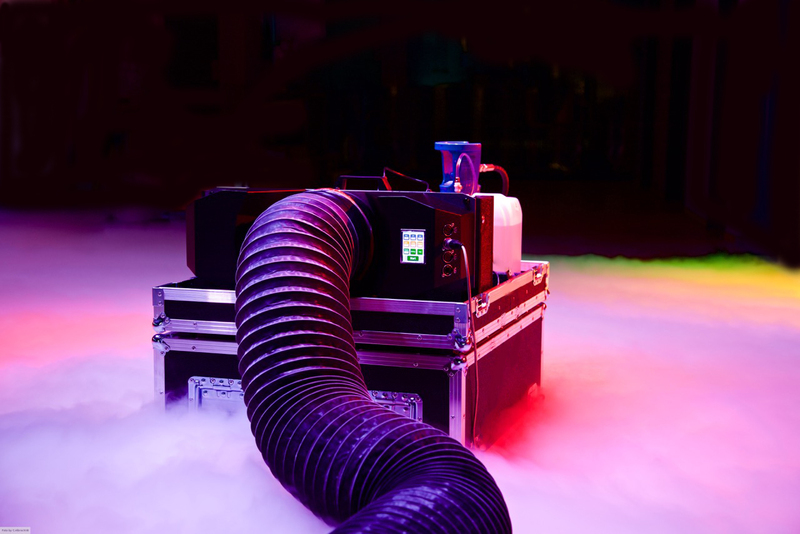 The fog height is controllable via adjustable air supply; with 1KG, 2KG & 3KG CO2 per min options. This device also features a touch screen control panel to fully utilize control capabilities like Art-Net, DMX, Analogue & RDM. 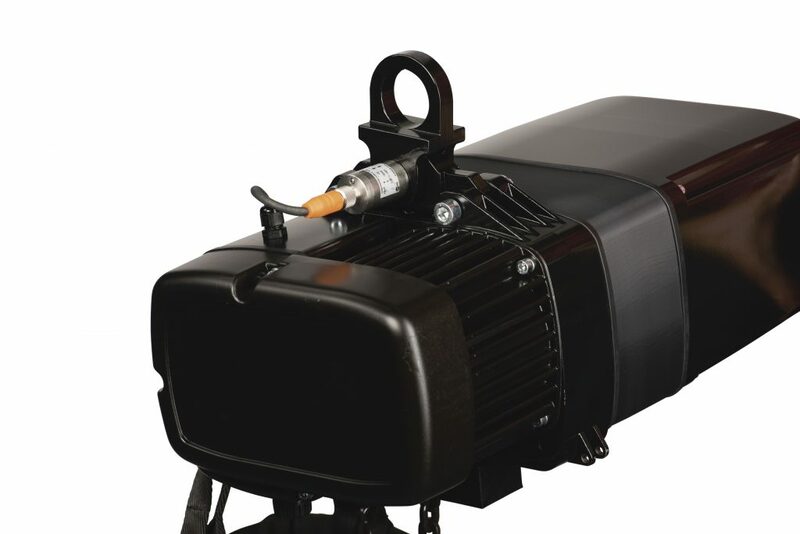 This Machine, Like most Haze Base Products, comes standard in an Amptown Flightcase. 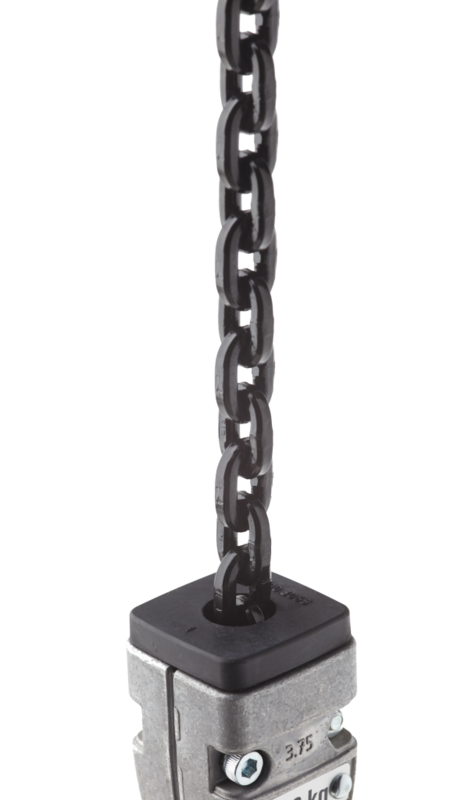 Featuring new lamp technology, the MSD Platinum 2R Lamp at 132 W / 6,000 hours. 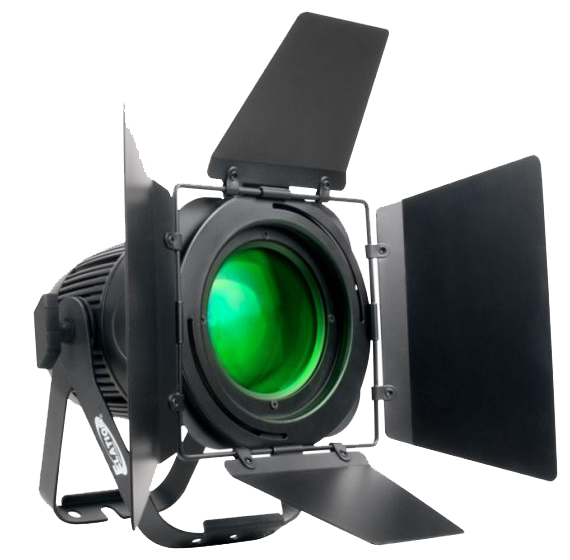 Capable of producing powerful and precise beam and laser like effects – including liquid sky, laser wave, and laser cones, all moving at speeds never seen before . 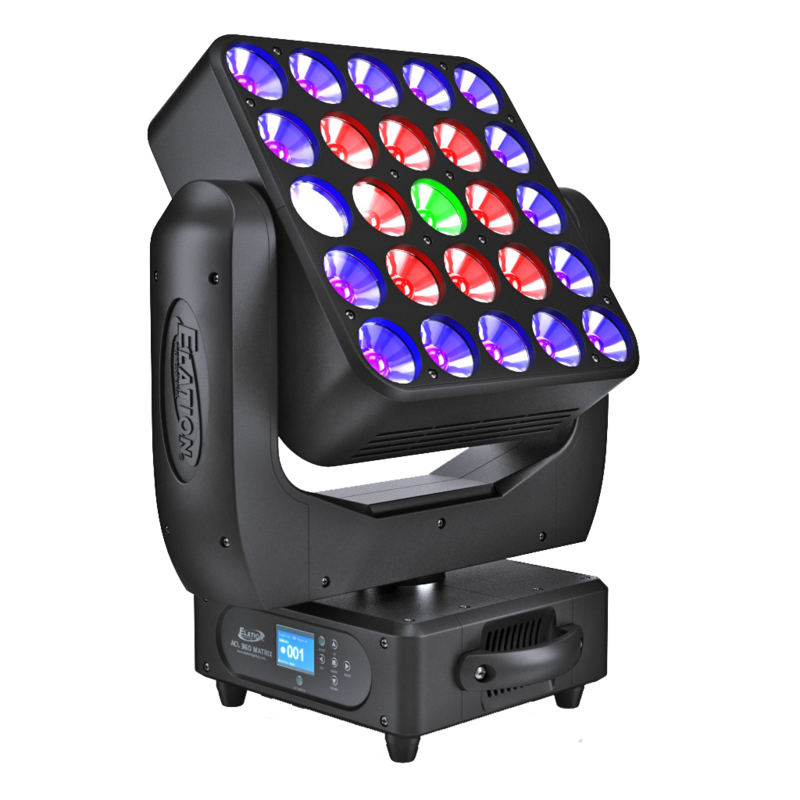 The main functions include a X / Y scan and Z rotation mirror system, 3 facet rotating prism, variable speed shutter / dimmer / strobe, 14 dichroic colors, 17 static gobos including beam reduction gobos, 5pin DMX and powerCON in/out connections, 4 button control panel, 220W max power consumption, and a multi-voltage universal auto switching power supply (120-240v).